Happy Monday! I'm back today with another layout with the Clique Kits November Homecoming kit. 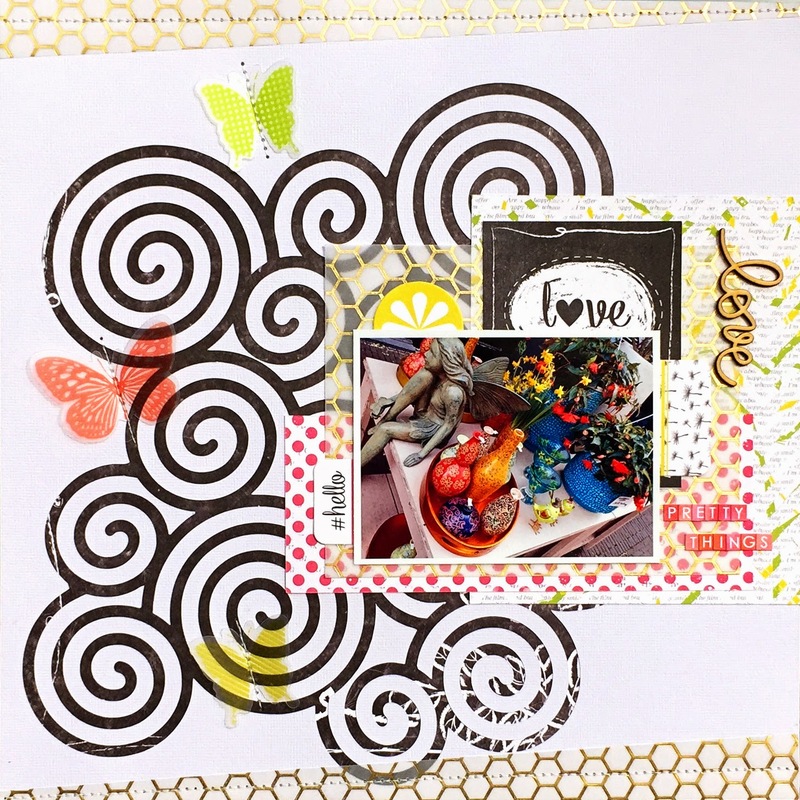 For this kit Juliana Michaels from 17turtles created some exlusive cut files and I used one of them, Swirl and Twirl, on this layout. 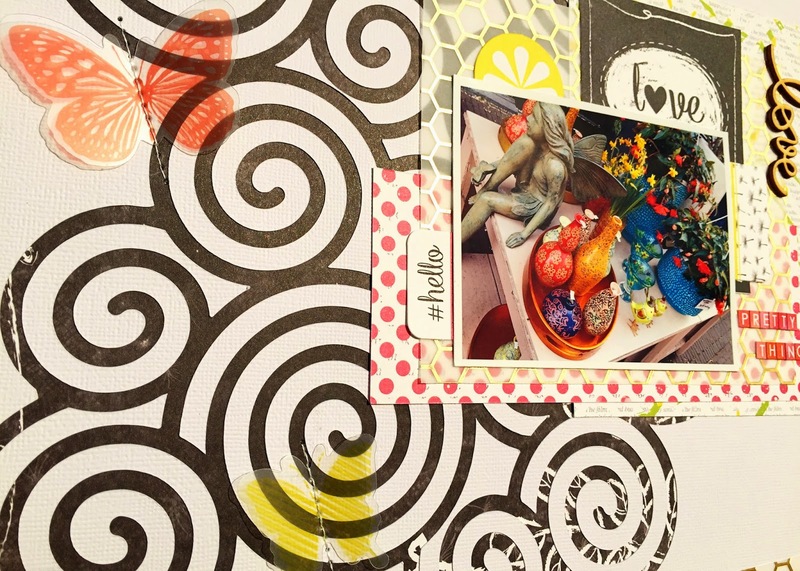 All papers are from the Lemon Owl Weekend Trip collection and I added some gold touches with the Studio Calico Lemonlush gold foil vellum. 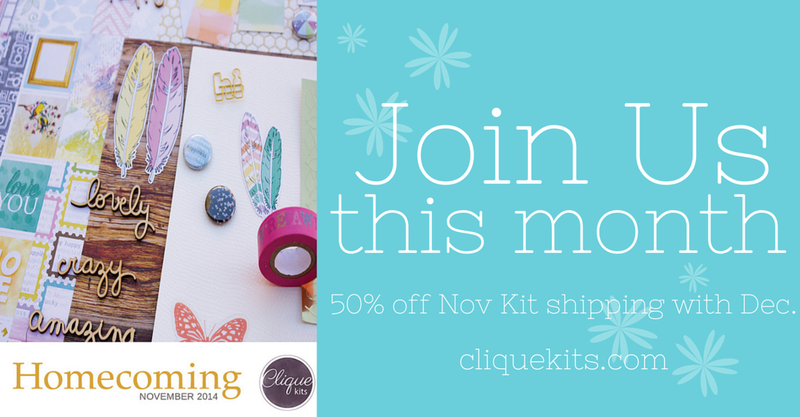 We're having a great deal for you this mont at Clique Kits: Use our subscriber button to sign up now and you will automatically receive an email with a code for 50% off the November kit to ship with the December Kit (your first scheduled delivery) as an add on! This code will be good all month long until November 28th. Pretty layout! The photo you scrapped is great! beautiful layout!!! I adore how you used the speciality paper!!! 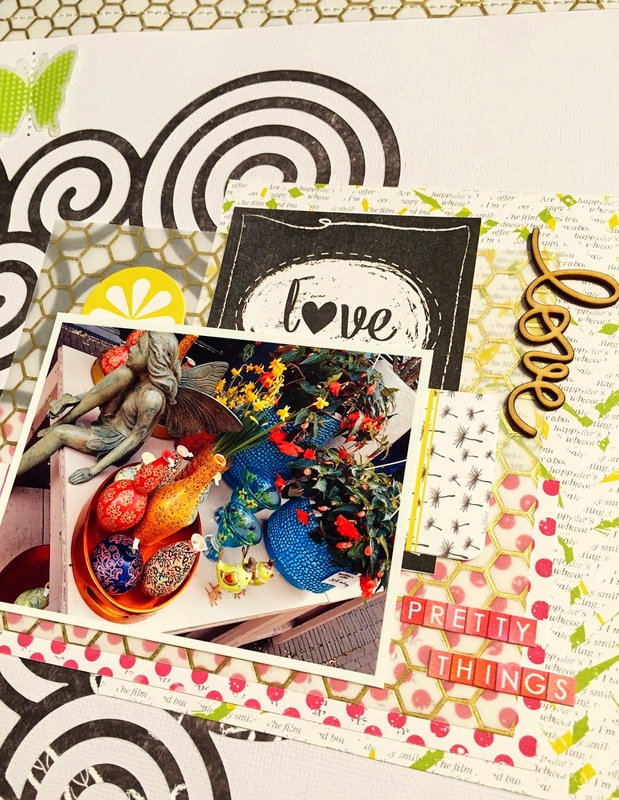 Awesome layout Danielle! You are rocking the kits! !